Sets up fast so you can fish hard! 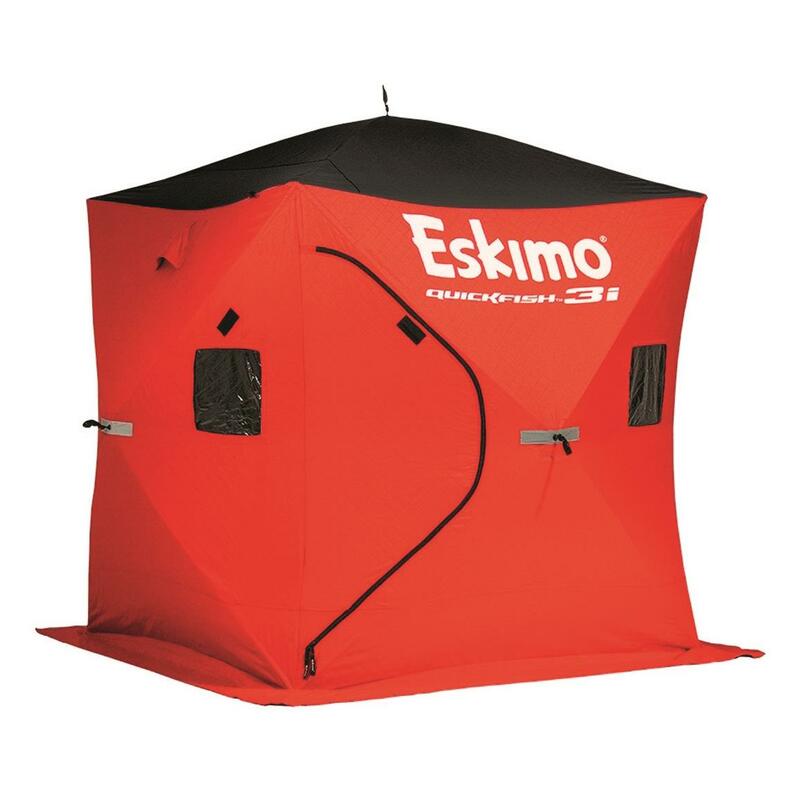 The Eskimo® QuickfishTM 3i Insulated Ice Shelter holds heat with a gorilla grip to create a comfy fishing spot that sets up in just 60 seconds! 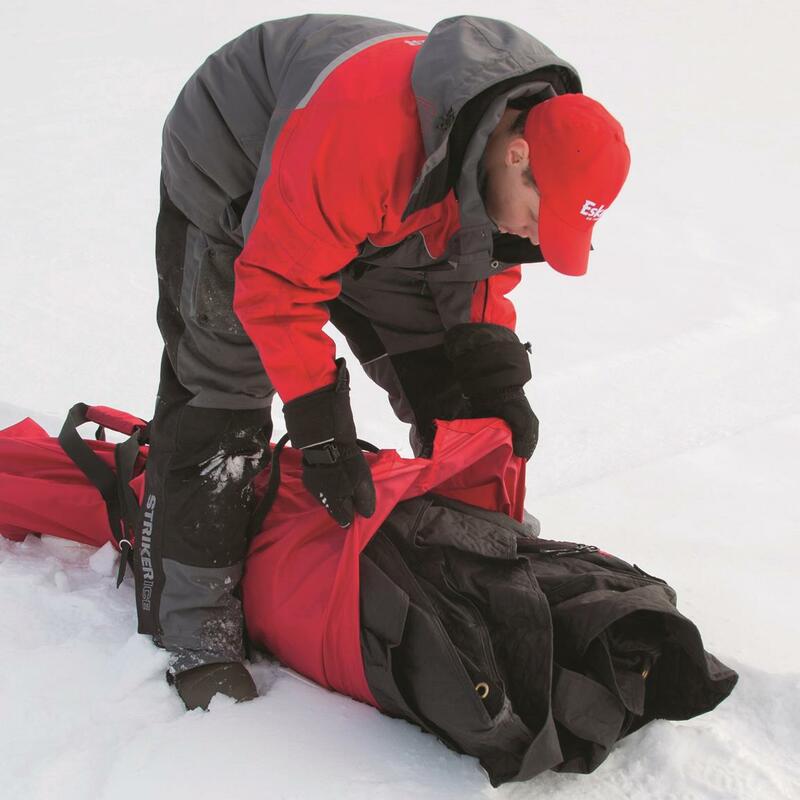 The ease and portability of the QuickfishTM 3i setup and take down allows you to go where the fish are, without hassle! 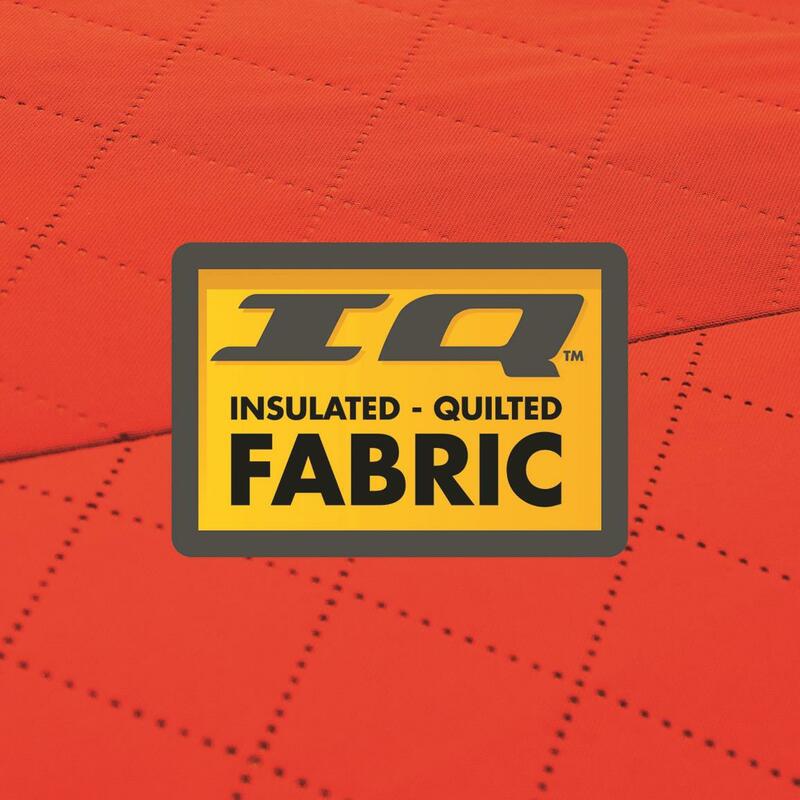 Just open it up, then the pop-up hub-style design and flexible fiberglass frame unfurls into a full structure in seconds! 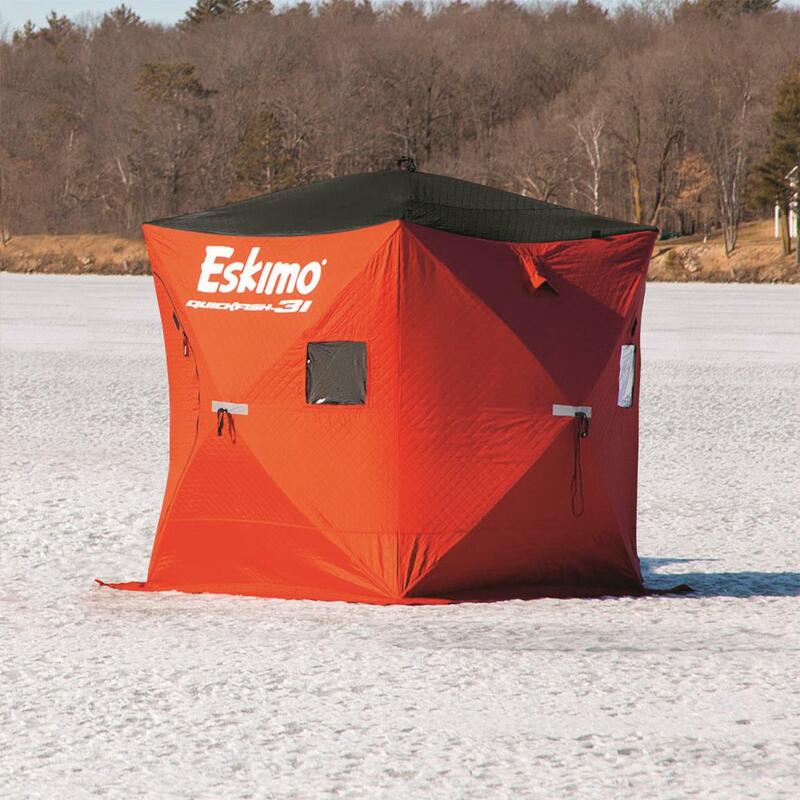 With two doors, storage pockets, reinforced bottoms, strong ice anchors and removable windows, you'll have all the amenities you need for hours of ice fishing! 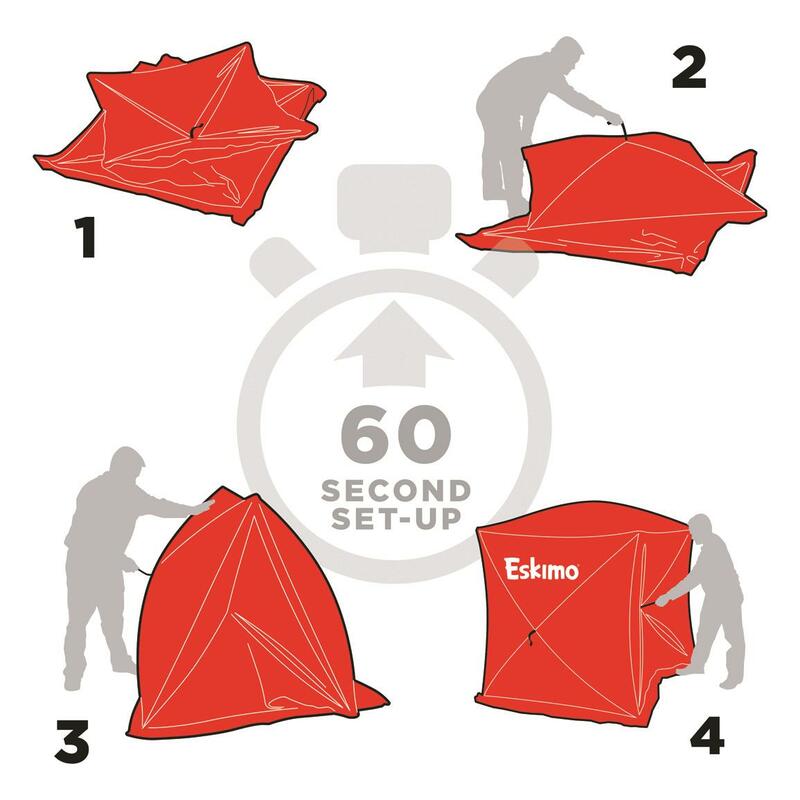 Carry bag included for easy "here-to-there"
Measures 70" x 70" x 80" when set up and collapses down to 10.5" x 10.5" x 51" size. Fishable area: 34 sq. ft.